HEXUS has previously reported on the appearance of an AMD Radeon RX 590 graphics card in the 3DMark online results browser database, and rumours of the launch of this card on 15th Nov. We’ve also seen varying degrees of leakage with regard to SKUs from PowerColor, Asus, and HIS Digital. Today some packaging and product shots of what is claimed to be the Sapphire Radeon RX 590 NITRO+ Special Edition have been shared by VideoCardz. The exact specs of this card/GPU are unannounced and thus unconfirmed but we think we have a good idea about it from previous leaks and reports. The general consensus from previous leaks indicates that the RX 590 will be based upon a 12nm Polaris 30 GPU. The GPU is expected to come with 2304 stream processors and 144 TMUs, some architectural tweaks might be delivered too. Supporting the GPU will be 8GB of GDDR5 memory on a 256-bit bus. GPU base and boost clocks should be improved in line with the modest manufacturing process advancement. 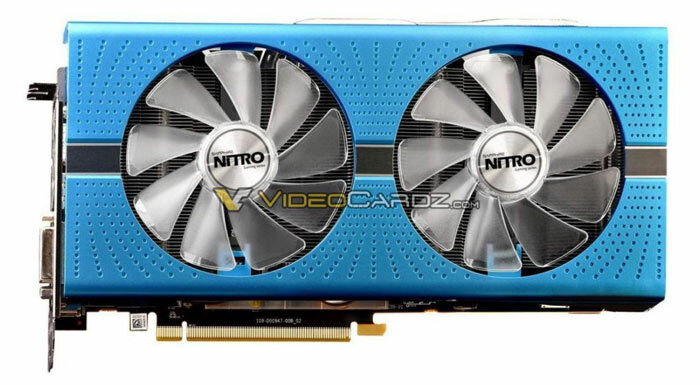 The Sapphire Radeon RX 590 NITRO+ Special Edition seen here looks very much like the previous/existing NITRO designs featuring AMD Polaris GPUs. That falls in line with other makers; PowerColor looks to be re-using its Red Devil Golden Sample cooler, and Asus its triple-fan STRIX cooler, notes VideoCardz. In the source report the 15th November as intended launch date for the Radeon RX 590 is mentioned again. I’m not sure if there has been new info confirming that date or it is a simple re-statement. Previous leaks out of China pointed to pricing of approx £235 plus VAT. Those in the market for graphics cards of this/similar performance will have noted that RX 580 card stocks have been subject to price cuts recently, with an 8GB MSI branded Armor OC version under £200 inc VAT spotted at eBuyer, for example. Oodles of these cards on the way in Dual, Strix, TUF, Phoenix, and Low Profile livery. Asus ROG and MSI join in the fun. Meanwhile, Acer slips up and lists a GTX 1660Ti laptop. 3 Has Samsung been chosen for Intel Xe GPU manufacturing? Rumours swirl as Intel's Raja Koduri attends Samsung Giheung plant for 5nm EUV news. Wow…To each its own but…that is some kind of ugly. Why doesn't the box match with the card colors so you get an idea of what's in it…?! sure it's a dull and oddly coloured, but it's a graphics card; looks don't matter! It might be a kind of electric blue that doesn't work well in the diffuse lighting of the photo booth?